This weekend in the meadows, the change was extreme. Cut low, the valley’s delicate face was pale, as if shaved by a razor. Vast swathes of yellow green seemed empty, but when I looked closer, the stubble was strewn with remains: yellow rattle cases, shriveled clovers, desiccated daisies. The edges and slopes that escaped the cut are still covered with long grasses, harebells, betony and meadowsweet, all battered by the racing August wind that shouts life into them. I had hoped to be around for the cutting of the grass and when I heard that it had gone ahead in a dash to beat the rain I felt sad. I was somehow attached to watching the cut. I felt it was an important part of my time with the meadow, and would mark a closing. I arrived at the lay-by on the A6 with a sense of emptiness and melancholy. But I surprised myself. In the simple act of walking down from the road to the slow quiet of the riverside path, with butterflies playing light and shade above the grasses and dragonflies rising stiffly into the sun, my mood lifted. The Borrowdale Valley has never failed to infuse me with sense of peace and fullness. When I crossed the bridge and approached the gate into the meadow, I came to a line of frayed linen canvases. They have been subjected to a particularly wet and windy August but are mostly still legible. I carefully took them from the fence, and put them in my bag. Through the gate I paused. 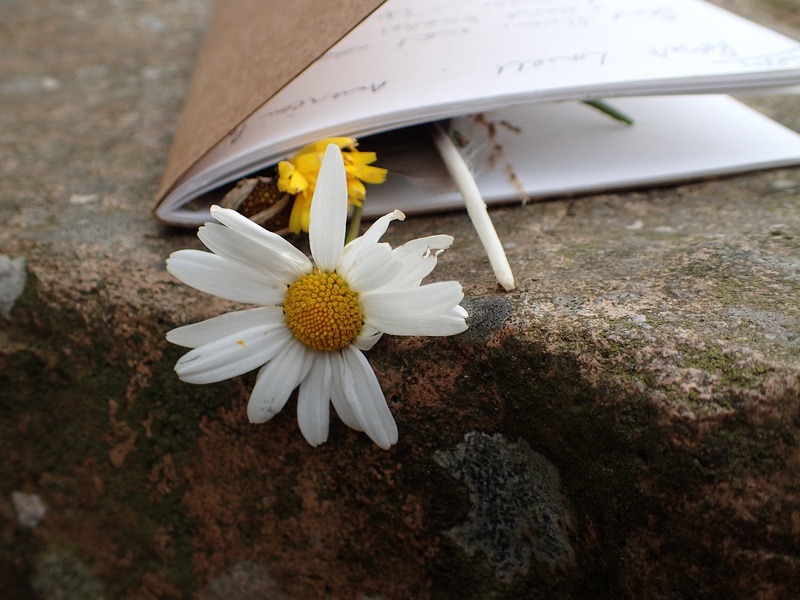 In the green between me and the barn my mind’s eye saw the fullness of daisies, knapweed, sedge, hay rattle, clover, sorrel … but they have had their day. 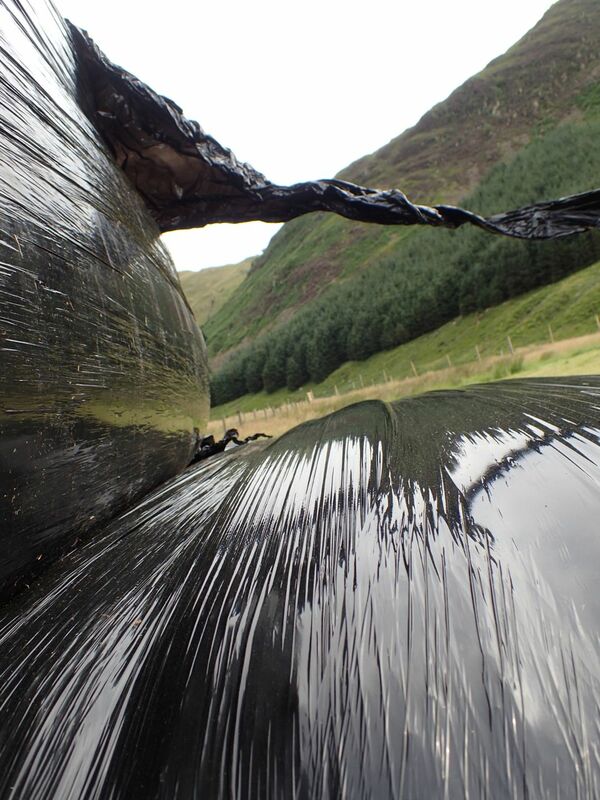 They have shed their seeds and now sit tight in plastic black wrap ready to nourish the Wilson’s herd over winter. The gates to the meadow are open and this year’s growing lambs are welcome to stroll on in and will soon begin to nibble and fertilise the ground. The valley is still alive with birdsong and the uncut fringes of the meadows are abundant. I lay down low beneath the heads of grasses and flowers being thrashed by the wind. Tormentil has spread, taking over spaces once covered in bedstraw. Canary-yellow vetch is thriving. Meadowsweet is spreading its heady smell (although you have to get close, with the wind as it is, whipping the air away so fiercely). Some yellow rattle has yet to dry and release its seeds. I retraced the steps I had taken so many times in July, walking towards the derelict High Borrowdale farm beneath the sycamores. When I arrived, I felt a familiar sense of gentleness and peace in the enclosed farmyard (now a nettle garden / moth nursery). I pulled up a chair, sat down and took out a snack – a ritual breaking of bread with the valley – and then simply sat and watched, listened, felt. For my last visit to the toft (farmstead) I wanted to pause and reflect. I must have been sitting for an hour, writing, watching the sky, staring at the single tree that breaks the skyline high on the fell beyond the first field, listening to the sheep, listening to the wind. The wind plays many tunes: a solid rush in the pine plantations on the other side of the valley, low gusts along the wall around the barn, soft rustles in the sycamores above. It’s enough to keep me, at least, entertained for quite some time! 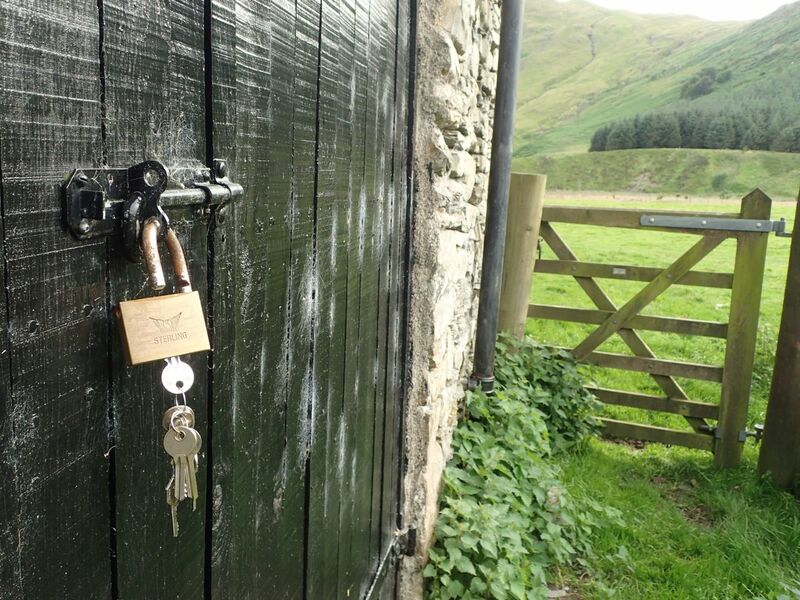 Eventually I locked the barn door for the last time. 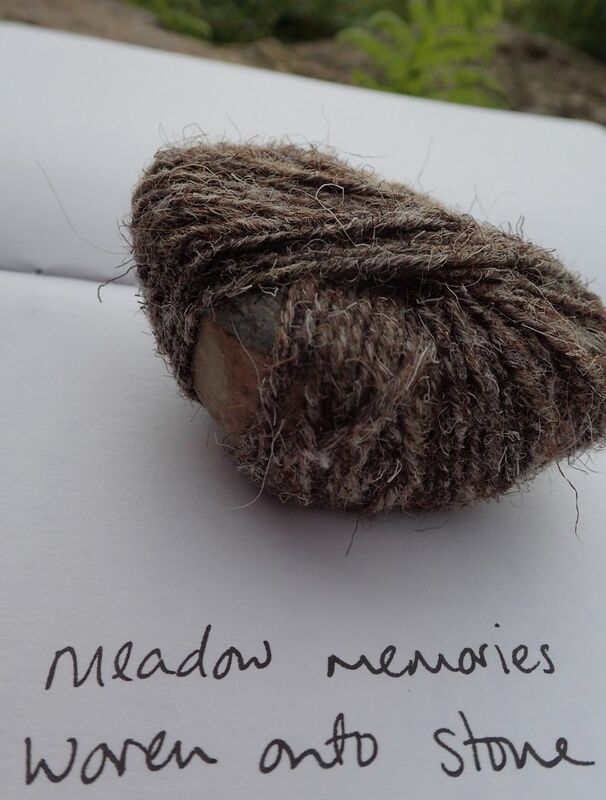 I walked back into the meadows, gathering in frayed and faded bunting, rereading what others have added to it over the last few weeks. 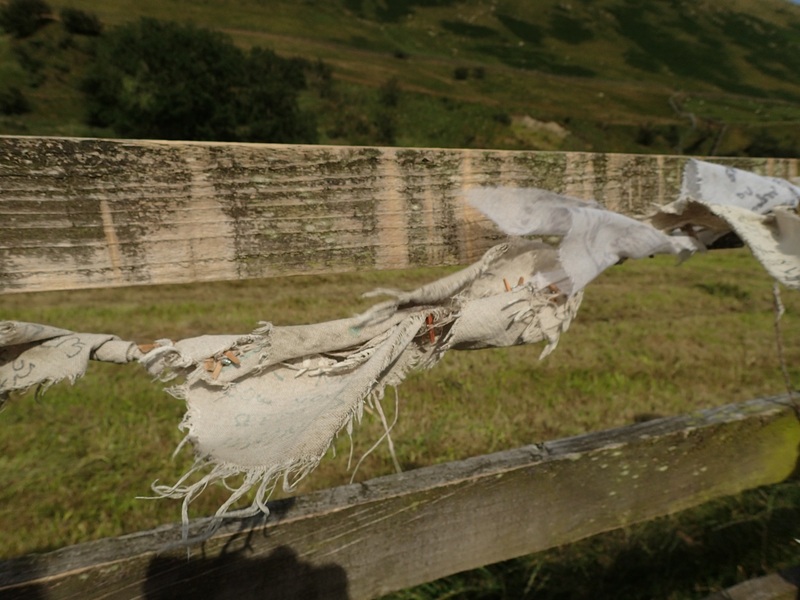 I took the herdwick wool that the bunting was pegged to and wrapped it around the stone gate post – it will last at least a year, if left alone. 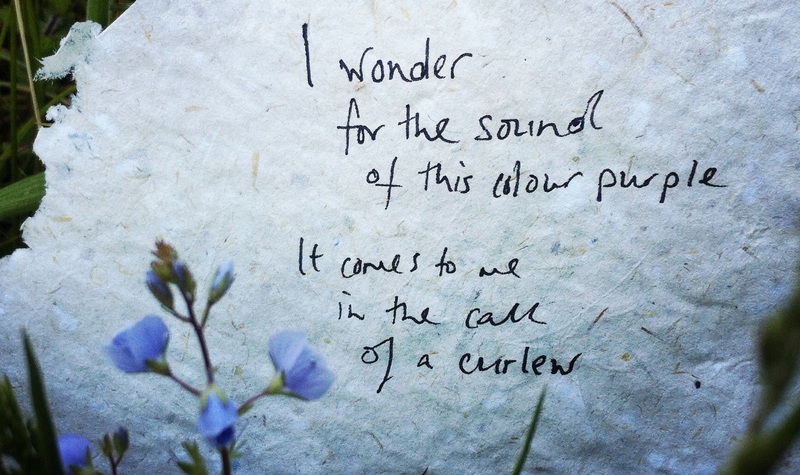 I walked along the track between the meadow fields, slowly, my gaze taken to the fringes still rich with flower. I walked into the open fields, unobstructed, and felt them flat and sharp beneath my feet. Guilly (energetic spaniel), ran as if he’d never run before, head down, mindlessly chasing the scent of rabbits. 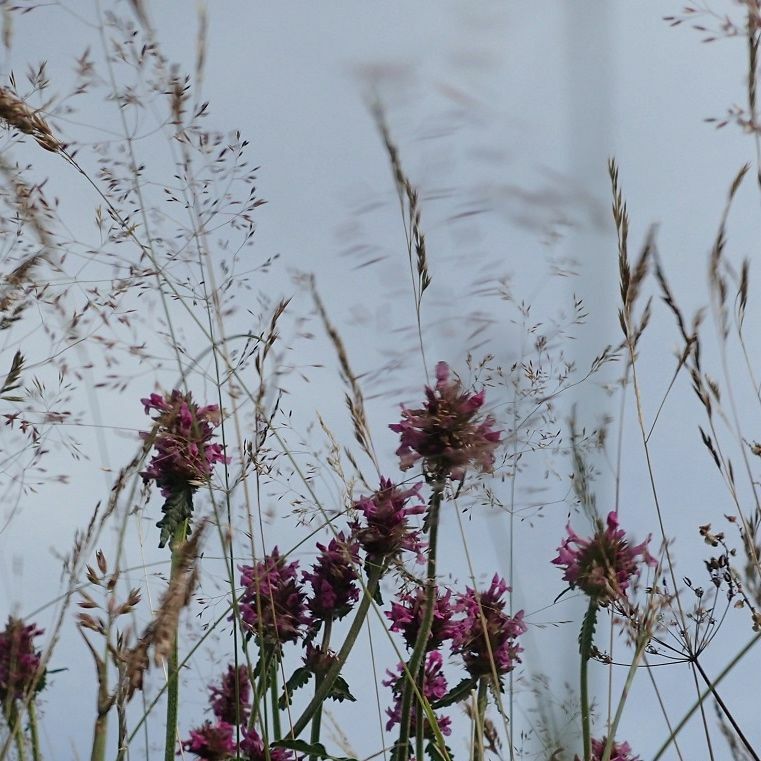 I walked around the pile of black bags containing the meadows’ flowers and grasses. I didn’t expect the black bags to be singing – the wind tugged and pushed at loose ends of plastic, and squeezed into the gaps between bales like an insistent, curious toddler, making low howls and groans as it did. One last time, I had to go down to the river. 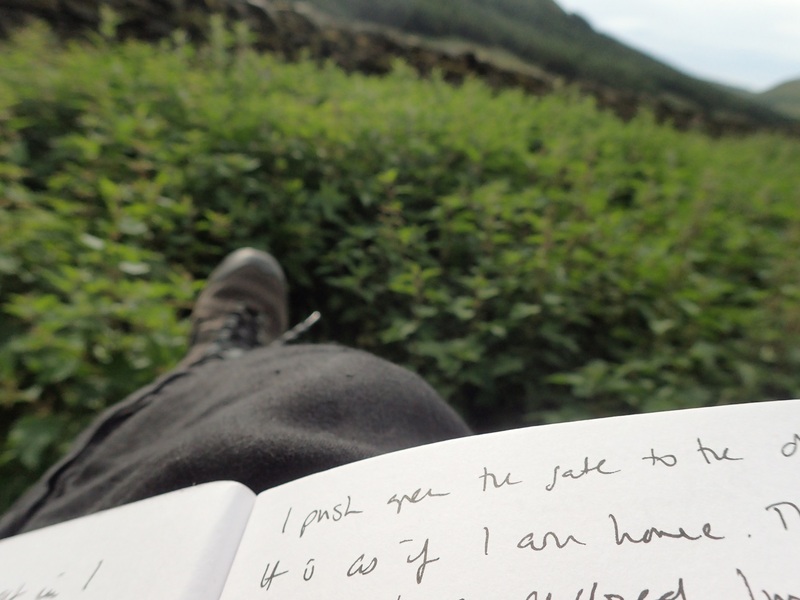 It have spent many an hour there, reflecting on what I have written, filling notebooks. I wanted to sit on the cool boulders one last time, listen again to the watery symphony, and look through the bridge which frames the river and the line of fells beyond. I used the last of the wool on which bunting had hung to wrap a stone, and then hid it. This may last three or more years, staying quite still while the seasons change and the valley’s colours brighten and fade. I will be back to find it. Right now it is raining, heavily. The land is drinking it in. The meadow flowers are waiting beneath the green before emerging to dance in full glory. I am looking forward to the end of the month and to indulging myself in meadowtime in July. 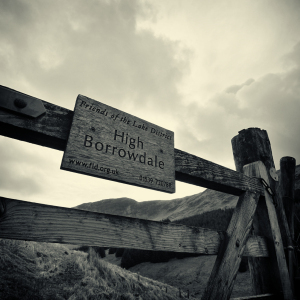 Back in February, I went to High Borrowdale to explore. The land was quiet, as if sleeping. The river was not. It sung, with the birds and the breeze, and the valley felt alive. I walked in with Rob and wrote about it in a separate blog which you can read here: ‘The Other Borrowdale‘.